Study will include over one million subjects. Performance Health, the maker of Biofreeze® Professional, is pleased to announce its significant financial support of the CCGPP Clinical Compass as part of its national Safer Pain Relief campaign. These funds are earmarked for a second study on the impact of chiropractic care on opioid and drug use for large patient populations. This second study, as was the first, is being carried out by principle investigator Dr. James Whedon at Southern California University of Health Sciences. The first study, conducted in 2016 on over 12,000 subjects with lower back pain, revealed that patients seen by a chiropractor have a 55% less likelihood of filling an opioid prescription as compared to those not under chiropractic care. The study,Association between Utilization of Chiropractic Services and Use of Prescription Opioids Among Patients with Low Back Pain, also showed that average annual per-person charges for opioid prescription fills were 78% lower for recipients of chiropractic services as compared to non-recipients. The final results of the study are currently under peer review for publication. The second study will begin in late 2017 and will require at least 18 months to collect, analyze and report on the data. “We are asking that everyone in our profession donate to the Clinical Compass. This imperative work will allow us to work more cooperatively with patients, other healthcare providers, payers and policy makers,” concluded Greenstein. 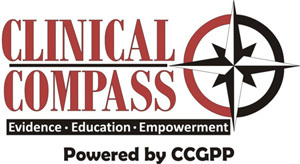 The Clinical Compass (CCGPP) mission is to gather and evaluate existing evidence‐based practice information, to facilitate the development of new information where existing evidence is lacking, and to distribute and assist in implementation of evidence-based practice information that is relevant to the chiropractic profession. Performance Health is the largest specialty distributor and manufacturer of branded products and solutions for rehabilitation, recovery and sports medicine in the world. We draw upon a unique combination of leading brands, products and applied knowledge from professional partnerships to provide complete solutions. The goal of the company’s Safer Pain Relief campaign is simple: Help people understand the full range of muscle and joint pain relief options—and the associated risks and side effects—so they apply the safest, most effective solutions for their unique needs.We know the best way to get “safer pain relief” is by combining professional care with professional products. Visit www.saferpainrelief.org to learn more!